Was this photo taken with an iPhone 5? 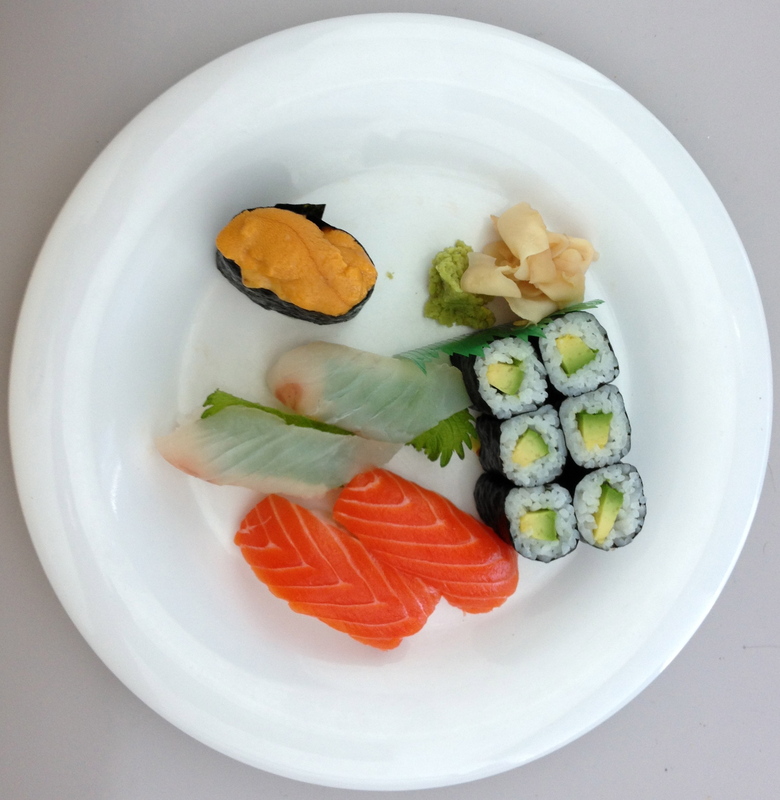 A mysterious picture of a plate of sushi has the tech world abuzz — not because of its artistic qualities, mind you, or even the fresh-looking meal it depicts, but because it may have been taken with Apple’s still-unconfirmed iPhone 5. The image was discovered by tech site PocketNow, which regularly sifts through images taken by smartphones, hoping to find something interesting. Well, this time, they think they may have hit the jackpot. According to PocketNow, the EXIF data contained in the image makes it appear, at first glance, like it was taken with a regular ol’ iPhone 4. The size of the image measures 2235×2291, which is the equivalent to 5.1 megapixels, the size of the images taken by the current iPhone model. After a little digging, however, PocketNow found that the size of the original image is actually 3264×2448, just slightly smaller than 8 megapixels. Why is 8 megapixels significant? Because it’s widely believed that the iPhone 5 will sport an 8 megapixel camera. It’s one of the oldest iPhone 5 rumors, and one that hasn’t been refuted by contradictory evidence. Adding further support to the iPhone 5 theory is that the EXIF data recorded the lens as a 4.3mm f/2.4, which is slightly better than the 3.85mm f/2.8 lens, which the iPhone 4 sports, and is closer to what you would find on a dedicated point-and-shoot camera. To make this picture even more interesting, TechCrunch reports that the EXIF data includes GPS coordinates for where the photo was taken: 37.33216667,-122.03033333 — otherwise known as 1 Infinite Loop, Apple’s Cupertino, California, headquarters. We also took a look at the EXIF data, and found that the picture was snapped on July 22, 2011, which wasn’t so long ago. As PocketNow stipulates, it’s entirely possible that the EXIF data has been manipulated in some way that would make their assessment entirely incorrect. So, as with all things iPhone 5, there’s no guaranteeing any of this has any validity, whatsoever. That said, the image does look nice and crisp and high-res-y enough for us to not be disappointed if this is the type of images we can expect from Apple’s next-generation iPhone. Click here to see the full resolution version of the image.